China’s largest heavy-duty truck maker, Sinotruk, has said Asian markets have weaned away exports from Europe. Southeast Asian countries have become a major export destination for its vehicles, while other overseas markets like Central Asia and Africa have all witnessed steady growth, according to the company. The eurozone debt crisis has affected Sinotruk exports but the firm is still poised to maintain growth, the company said on Tuesday. 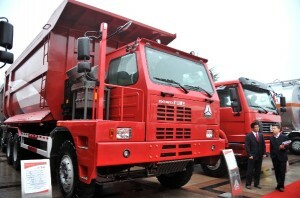 The Jinan-based truck manufacturer has clinched export orders for more than 14,000 heavy-duty trucks so far this year. Ma Chunji, chairman of the board of Sinotruk, also said Sinotruk has started to make breakthroughs in Hong Kong, a market long dominated by European and Japanese truck makers, and one considered to have the world’s most strict auto emission discharge standards. Sinotruk’s HOWO-A7 product has entered markets in Brazil, Africa and West Asian countries in 2012. Last year, Sinotruk exported 20,852 vehicles, up 56 per cent from 2010. Its exports revenue rose 82 percent year on year to $610 million in the year. So far, the Hong Kong-listed company has established six overseas assembly plants with an annual capacity of 30,000 heavy-duty trucks.